Three weeks - three weddings. And here I thought wedding season was over. My desk is overflowing with wedding invitations and response cards. Each time I open one, I think about the time and cost involved with sending the announcement. In fact, the average cost of sending invitations is around $1000. This "tradition" is so ingrained in American culture that I assumed it had been around a long time. Turns out they're a relatively new addition to weddings. The practice of sending written wedding invitations emerged among the nobility during the Middle Ages. Families of means would commission monks, skilled in the art of calligraphy, to handcraft their notices. Such invitations were rare and reserved for the elite, as most people were illiterate and too poor for such extravagances. Before the invention of the Printing Press in 1447, weddings in England were typically announced by a town crier: a person who walked through the streets announcing in a loud voice the news of the day. Traditionally, anyone within earshot became part of the celebration. It wasn't until rapid industrial growth directly after World War II that wedding invitations became popular with the masses. New inventions, like thermography, allowed the common man the ability to mimic the lifestyles and materialism of society's elite. Thermography (a less expensive method of achieving raised type) allowed wedding invitations to become affordable for all. 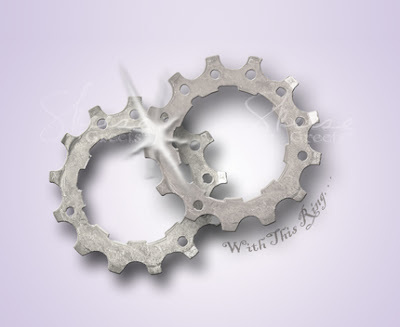 Skeese Greets doesn't offer wedding invitations, but we do have a bicycle themed wedding/anniversary card. It's great for those couples who love bikes. The design is also available as a boxed set for "thank you" cards after the wedding.